As a Registered Music Therapist Shari will work together with you, as well as your loved ones and those working with you, how we can tailor music therapy to meet your non-musical goals. People of any age living with an identified need which might be addressed through the therapeutic use of music by a registered music therapist. It is about building on your strengths and interest, connecting particular music with what you need, developing a supportive, therapeutic relationship. As a registered music therapist Shari has specialist, Masters level training and knowledge of best practice and research that enables her to appropriately select and use music and musical instruments to facilitate positive change and address non-musical goals: physical, social and communication, cognitive and/or emotional, as well as general wellbeing and quality of life. ​Shari seeks to co-create an environment that is both accepting and encouraging, with music providing a motivating, non-pressured medium through which to establish and develop a relationship of trust between client(s) and music therapist. Within those relationships people who experience life in different ways can experience music therapy as a safe space to create, explore, express, and process whatever life holds. 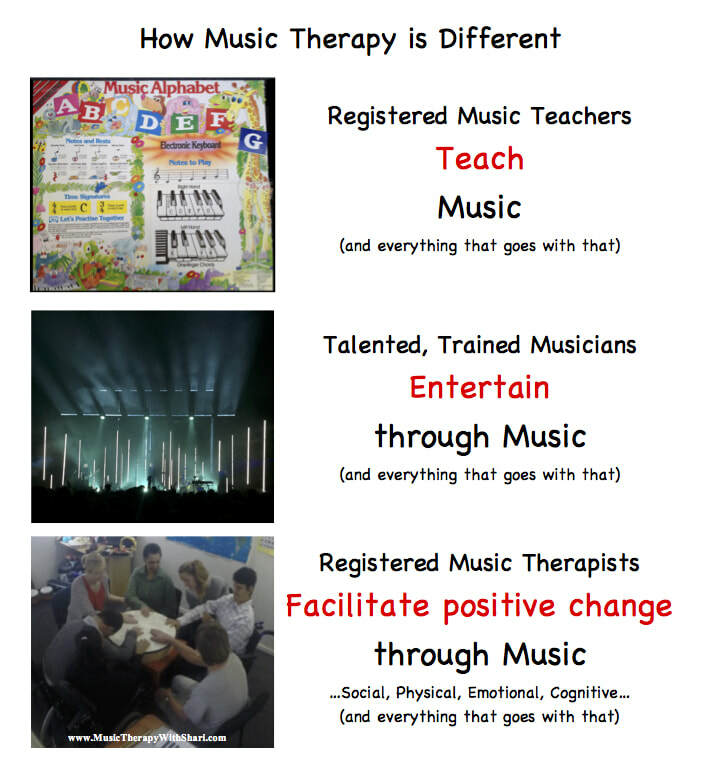 Why a registered music therapist? Registration and practicing certificate ensures Shari is continually keeping up with best practice and research, and is supported by her clinical supervisors, according to the MThNZ Standards of Practice. Music therapists are identified as specialists who can provide a service to children who have High or Very High special education needs via the Ministry of Education’s Ongoing Reviewable Resourcing Scheme (ORRS) (MOE, 2006_Link). What might you do in music therapy? Where do registered music therapists work? Registered music therapists are trained to work in a variety of settings with anyone, of any age, from all walks of life.